This page contains all of the posts and discussion on MemeStreams referencing the following web page: Around the World in a Boat Fueled by Human Fat | Autopia from Wired.com. You can find discussions on MemeStreams as you surf the web, even if you aren't a MemeStreams member, using the Threads Bookmarklet. 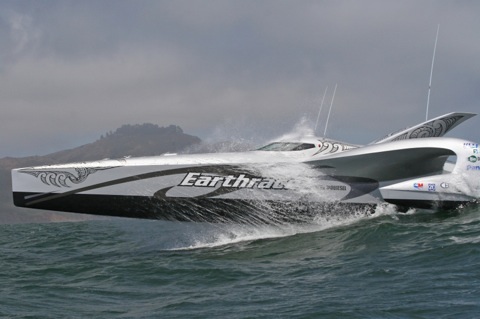 Pete Bethune, a former oil exploration engineer, is so committed to proving biodiesel is a viable alternative to fossil fuel that he and two other Earthrace crew members underwent liposuction. Together they stripped more than 2.5 gallons of fat from their bodies, which produced almost two gallons of fuel - enough to go 9 miles under optimum conditions. One small step for two men, one giant leap for our future robot masters. We remain blazing toward the advent of robots that can kill people and generate fuel by eating their flesh.